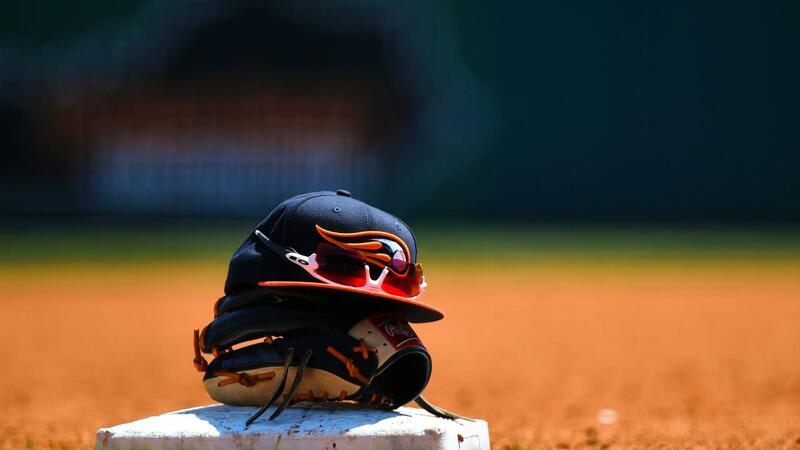 Bowling Green, KY- The 2018 Midwest League Champion Bowling Green Hot Rods, in conjunction with the Tampa Bay Rays, announced their 2019 opening day roster on Monday ahead of the team's April 4 season opener in Dayton, Ohio. The roster features two top prospects, as well as, a native of Hopkinsville, Kentucky. Eighteen-year-old Wander Franco receives his first full-season assignment with the Hot Rods after an impressive professional debut in 2018. The Dominican-born shortstop batted .351 with the Princeton Rays (Appalachian League) while hitting 11 home runs with 57 runs-batted in over 61 games and was named MVP of the league. Franco is the Rays top-prospect according to both Baseball America and MLB Pipeline. Franco is also rated as the #13 prospect in all of Minor League Baseball according to MLB Pipeline. Right-hander Easton McGee joins the squad in a homecoming campaign for 2019. McGee, 21-years-old, is a native of Hopkinsville, Kentucky - just over an hour away from Bowling Green. McGee was drafted in the fourth round of the 2016 MLB draft by Tampa Bay out of Hopkinsville High School where he was named Mr. Baseball by the Kentucky High School Baseball Coaches Association in 2016. Joining McGee on the pitching staff is Shane McClanahan, the Rays first-round compensatory selection in the 2018 draft. The 21-year-old hurled seven innings in his first professional season without allowing a run between the Gulf Coast League Rays and Princeton. The lefty is a Florida native and was selected out of the University of South Florida. McClanahan is Tampa Bay's 11th prospect on MLB Pipeline and 12th according to Baseball America. The active roster includes two players who have appeared for Bowling Green in past seasons. Right-handed pitcher Nicolas Padilla returns after appearing in seven games for the Hot Rods in 2018. Catcher Chris Betts played in 16 games for Bowling Green early in 2018. The second-round pick from 2015 rejoins the Hot Rods for 2019. The Hot Rods will carry 14 pitchers on the roster for opening day, including McGee, McClanahan, and Padilla. Other hurlers include southpaws Trey Cumbie, Luis Moncada, Steffon Moore, Michael Plassmeyer, and Nick Sprengel. There are eight right-handers on the roster with Christopher Gau, Miguel Lara, Cristofer Ogando, Joe Ryan, Caleb Sampen, and Alan Strong. Three catchers appear on the roster (including Betts) with Roberto Alvarez and Erik Ostberg as the other backstops. Bowling Green will carry five infielders on opening day with Franco, Osmy Gregorio, Connor Hollis, Kaleo Johnson, and Ford Proctor heading to the 'Vette City. Finally, four outfielders appear on the preliminary roster for the Hot Rods. Bryce Brown, Tony Pena, Michael Smith, and Grant Witherspoon will roam the new outfield at Bowling Green Ballpark. The Hot Rods open their 11th season on the road on Thursday, April 4 against the Dayton Dragons. Fans can catch all 140 games this season on Willie 107.9 FM, 94.1 FM, and 1340 AM in addition to the MiLB First Pitch app and the TuneIn Radio app on their mobile device. On Saturday, April 6th the team's home opener will mark their 11th season in Southcentral Kentucky against the Dayton Dragons. Mini-plans and season tickets are available now by calling the Hot Rods Front Office at 270-901-2121 or by visiting www.bghotrods.com.